If you’re like me, when it comes to your readers, you never want them to feel there’s a barrier to communication. It’s commonplace for blog comments to be sent and replied to at different times. However, that delay can limit interactions and prevent you from engaging with new prospects promptly or building new relationships. Given marketing is the business of opening dialogues and removing barriers (not putting them up) why would you want your blog to tell people that you aren’t open to hearing what they have to say? Outdated tools installed as your comment option may be saying just that – that you aren’t listening – no matter how many prompts you put at the end of a post telling your readers you look forward to hearing from them. Most built-in commenting tools have a moderation queue. 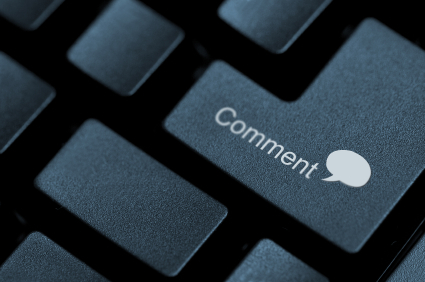 Moderation is a must-have, but it can increase the time it takes for a comment to show up. Instead of sticking around to see if a comment is posted, your commenters are likely to move on to another blog before you get a chance to reply. That’s not ideal. A blog post should be thought-provoking, and that means there should be discussions happening. Unless you’ve posted something that’s going to attract abusive or contentious commenting, moderation is a step that doesn’t generally need to be your default setting. It might lower your engagement and shorten the conversations happening on your site, and that means less opportunity to engage. Weigh the pros and cons and set your preferences in a way that works for you. WHAT IS IT: In the news recently because of YouTube’s migration to them, Google+ Comments are integrated with a reader’s G+ account. If they’re already logged in, commenting is very easy. Using G+ comments requires your blog to be hosted on Blogger. If you’re hosting on Blogger, you’re missing out on one of the best ways to improve your own website’s search rankings. BARRIERS: A Google+ account can be time consuming to set up, must be done off-site, and there are many readers who may have decided not to establish a Google+ account over time management, privacy, or other concerns. After all, not everyboy uses the same tools. BONUS: When a user makes a comment with a Google+ account, they can choose to share it with their circles. That’s going to boost your blog post’s reach. WHAT IS IT: A live updating commenting tool, Livefyre doesn’t just include chatter from the comments box. Livefyre curates discussion about your blog post happening on social networks and adds this to your comments section, allowing other people to reply to these discussions on your blog. Comments can also be shared on other social networks – and those discussions will, in turn, show up in your comments section. BARRIERS: Some users may find the curation of their social media posts in your comments section off-putting. BONUS: Between social sharing and integration tools, you’ll be able to find your commenters on other social platforms where you can communicate with them, and comments that get shared there, will bring more people to your blog. WHAT IS IT: Disqus is a live-updating commenting tool. Users can log in to comment with a variety of social networks and comment (Twitter, Facebook, Google and Disqus itself). Disqus also has comment up/down voting, allowing users to filter by newer comments or by most popular comments. Users are also able to opt-in to an email digest, or a summary of discussions on blog posts with topics relevant to them. BARRIERS: Very little. Like Livefyre, some users may be nervous about authorizing social accounts to log in, but you can easily set up a Disqus account and keep your social networks separate. BONUS: Disqus collects noteworthy conversations on relevant topics and e-mails them to users. If your blog post is included in one of those digests, you’re going to see a traffic (and conversation) bump. More eyes – and engagements – are never a bad thing. So tell us, what barriers have you taken down to increase blog engagement on your site? Were they effective? Tell us about it via Disqus, or simply reach out to the team at Kayak about helping you generate real discussions on your blog. Check out the 21 New Rules of Content Marketing Infographic on Slideshare. SEARCH great online marketing content on KAYAK.